Package included: 1 x wall hook, some fittings. Can be used for hanging clothes, towel, coat, hat, handbag, scarf, handbag, etc. Perfect for mounting on the wall, for rooms with limited storage space. Designed with 3 hooks, can be installed in the bathroom, kitchen, bedroom and fitting room. 1.Please allow 1-2mm difference due to different manual measurement. 2.Due to the light and screen setting difference, the items color may be slightly different from the pictures. Multi-purpose for coat hook, hat hook, bag hook, coat rack. 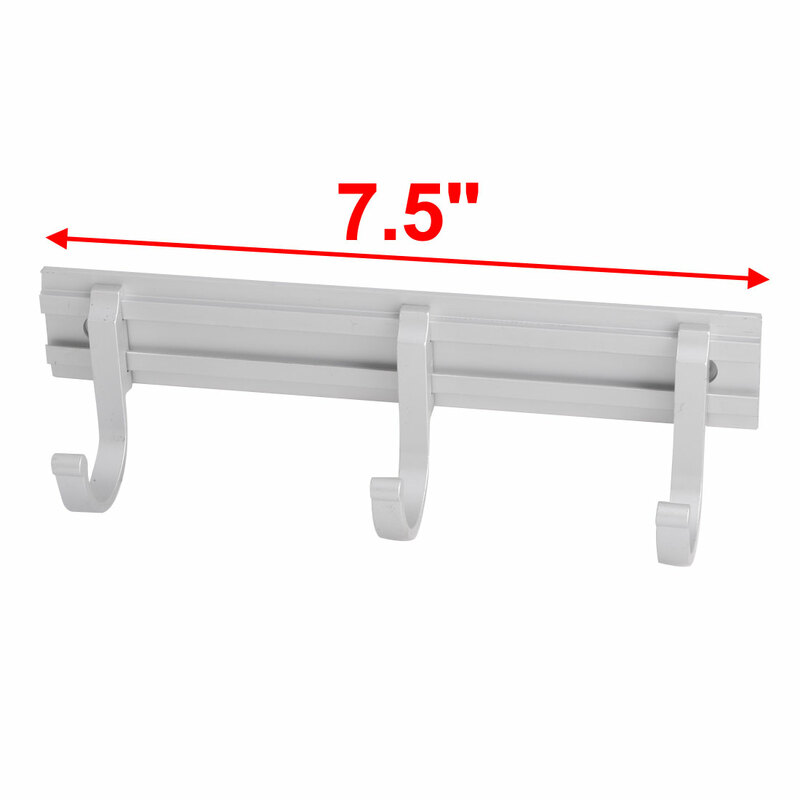 The wall mount holder is perfect for anyone who needs more hanging space. Get organized and add design to your home decor at the same time. The hook can be used to hang towel, clothes, scarf or shopping bags, is easy to install on the wall or door.